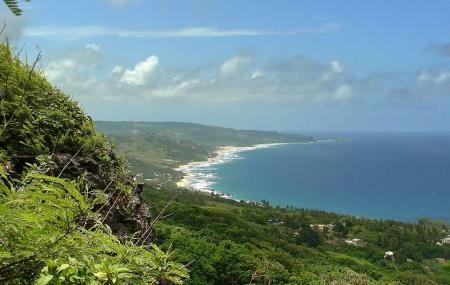 A treat for hikers and trekkers, the Hackleton’s Cliff is one of the highest points on the island. At 1000 feet above sea level, it offers spectacular views of the country. Trivia- more of a folklore than a fact, it is alleged that the cliff is named after a man who committed suicide by riding a horse off the cliff! Carry snacks and plenty of water with you. How popular is Hackleton's Cliff? People normally club together Queen Park and Bathsheba Park while planning their visit to Hackleton's Cliff. People also prefer to end their day with Hackleton's Cliff. The view here is amazing. You have the ability to see right up the east coast. It is very romantic at night. There is no food here whatsoever.